If you need to know how accounting processes work and how each operation is done the Accounting Flowcharts Solution for ConceptDraw DIAGRAM software allows to create flowcharts of such processes like a receiving process, purchasing process and payment process and gives the ability to draw another flowcharts that accurately represent accounting processes in the organization. Sample 1. 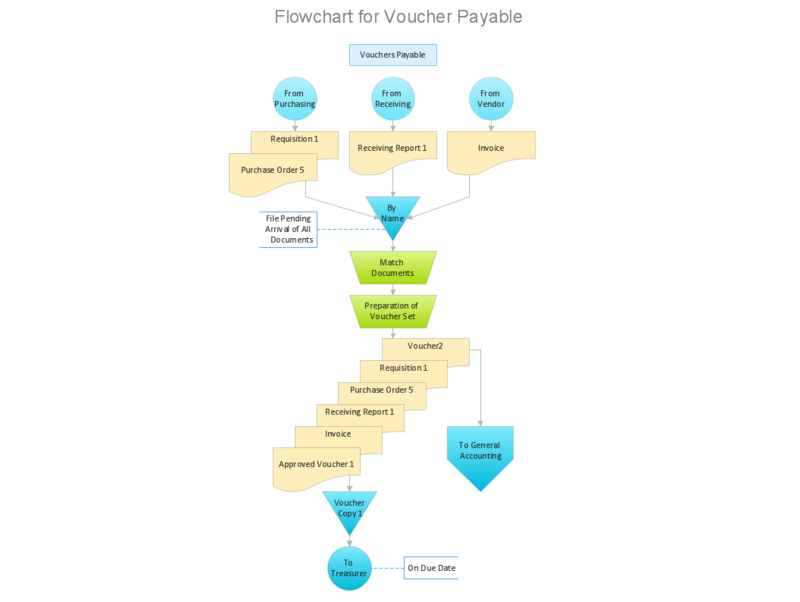 Voucher payable flow chart. How to build segregation of duties using drawing tools from Accounting Flowcharts Solution for ConceptDraw DIAGRAM v12 software.